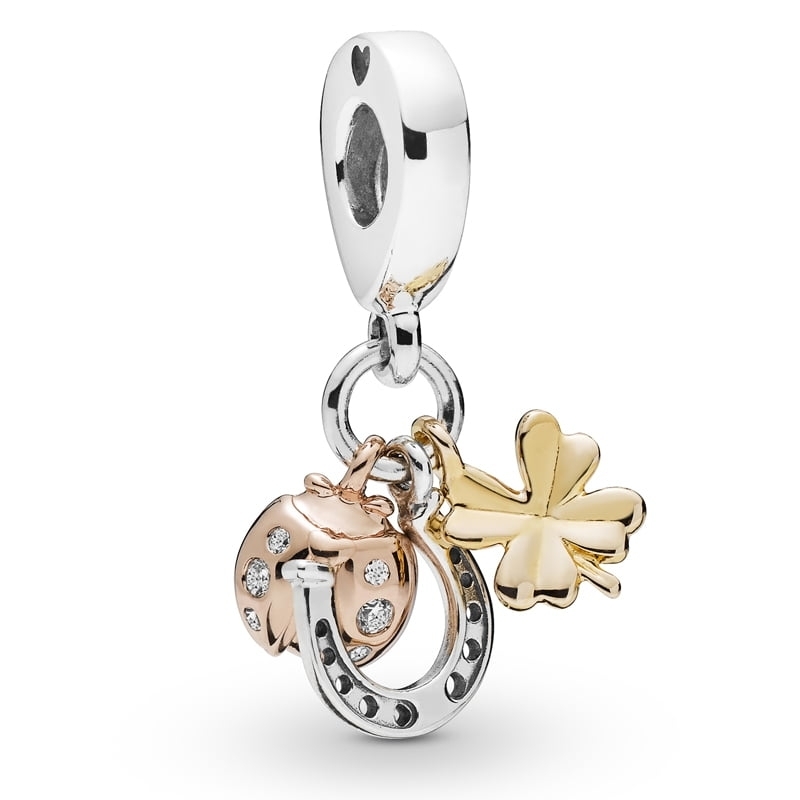 Pandora Horseshoe, Clover and Ladybird Pendant Charm. Presenting Pandora's first ever three-tone charm. Featuring a dangling ladybird, horse shoe and four leaf clover. Made from sterling silver, Pandora Shine and Pandora Rose, it's the ultimate lucky trio.